Welcome to my new weekly feature-Magnificent Mama Mondays, where each week you will get to read about a different woman who has impacted her family, community and world. In this day and age of mixed messages targeted at girls, I thought it would be cool to do a regular feature on my blog-a series of interviews of some strong, successful women I know. I greatly admire those with the entrepreneurial spirit, and will be highlighting ladies who not only have a strong sense of self esteem, but a great work ethic and abundance of creativity. 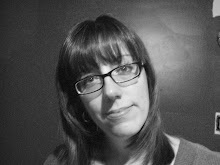 So, without further ado, I'd like to introduce Dawn Wilczek, a website designer. I have known Dawn for several years-in fact, we went to grammar school together. She is a sweet lady who has a big heart, a level of understanding of computers that amazes me, and she's also a wife and mama. Antonia: How did you get your start? Dawn: I started in a position at a company as a Sr. Internet Assistant and had no idea what I was doing. My boss, Pam Richmond, taught me everything. She was super patient and understanding. I have always been a natural with computers and understanding how they and software work so teaching me wasn't too difficult - or so I assume. Once I got the basics down I decided to start making money outside of work doing what I was learning at work. My first site was very simple and elementary but it was the gateway to more business. I had to do a few of the first ones for free just to get started and to add clients to my list. Once that happened it was mostly friends of friends and word of mouth that helped me get more clients. If it wasn't for Pam I wouldn't be where I am today. A: Why do you do what you do? D: I absolutely love being creative with my natural computer talent and even more so, I love the tedious work of typing in html code and implementing my design into that code. My mother told me, "Always do the work that nobody else wants to do and you'll always have a job." Which would be the tedious work that I've grown to enjoy immensely. Typing in the code and getting the site design to work with the code takes a lot of concentration and I view it as a meditative-like feeling - it calms me and makes me concentrate. I also like to be able to help out small businesses who really don't have a large budget for a website. I charge considerably less than most other web designers. I always try to go above and beyond the expectations of my clients because I enjoy their appreciation. Most all of my clients have become very good friends of mine and I will do anything for a friend. A: Does your gender play a role in the difficulty of your profession/interest? D: I don't think my gender does anything for me except for giving me the compassion and care that women naturally give to their friends and people in general. We're a very caring gender and by being like that it helps my clients feel comfortable with me and know I'll do my best to make them happy. This just isn't a job, its a hobby and a way to give to others who need the help. I have used the payments from my clients to send in charity donations to St. Jude and the Humane Society. Very important to give back. A: What do you hope to contribute to the next generation of women? D: I'm not sure what the next generation would benefit from me, but I would like my daughter to learn how to be a giving, imaginative and friendly person from me and what I do. I would like her to take any of her natural talents and use them to create a warm happiness inside her. Everyone has a natural talent, its just that some don't know what it is. I didn't know that I would enjoy what I do before I started learning it. So I think its important for anyone who is struggling to find their happiness in what they do then try everything - you'll find something that makes you feel happy, accomplished and whole. A: What is your favorite food? D: My favorite food? Pastries. Any kind of pastries - baklava, chocolate cake, eclairs, etc. Hey, wait, those always makes me feel happy and warm inside too. Better to design websites than eating pastries all day I guess. mix all ingredients thoroughly, and let stand in refrigerator overnight. Roll dough to about 1/2 inch thickness, use a small glass to cut out circular cookies, press your thumb in the center of each to make a little well, and fill with fruit preserves. Bake in a 350 degree farenheit oven for about 12 minutes or until lightly browned on the edges. Thanks Dawn, for taking time out of your busy schedule so we can get to know you. It's always been a little secret dream of mine to highlight local people in this way-so many celebrities get all the fanfare for their goofy and often embarrassing escapades-in my opinion, it's time we took the focus off them and instead set the spotlight on real-life heroines. I'd rather read about people who define success by their own terms, instead of those that rely on becoming famous because of manufactured insta-success. The real, honest stars of everyday life, the ones who shine in their efforts, attitudes, causes and work. Dawn is one of them. cream cheese, butter and flour? I thought it was more complicated than that! ooo, looks good, gotta try these!